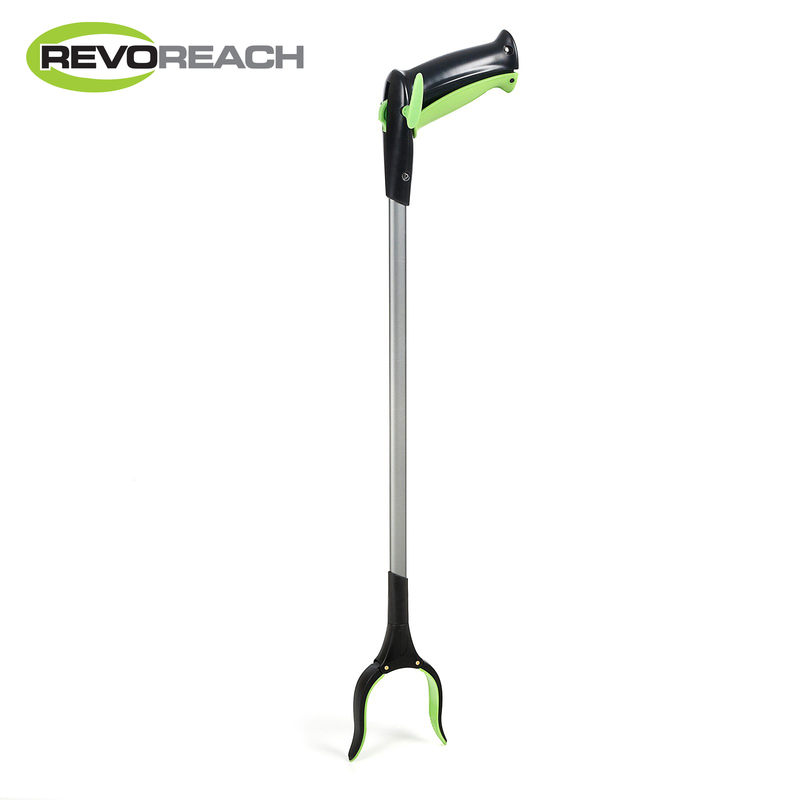 Reacher Revoreach Xcel For Arthritic Or Weak Grip. 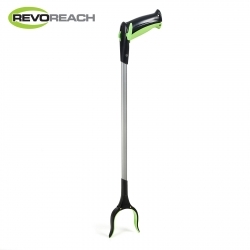 Sleek and Modern, the reacher has been designed with the user in mind. The contemporary design is robust and uses ergonomic principles, making it as comfortable to use as possible. 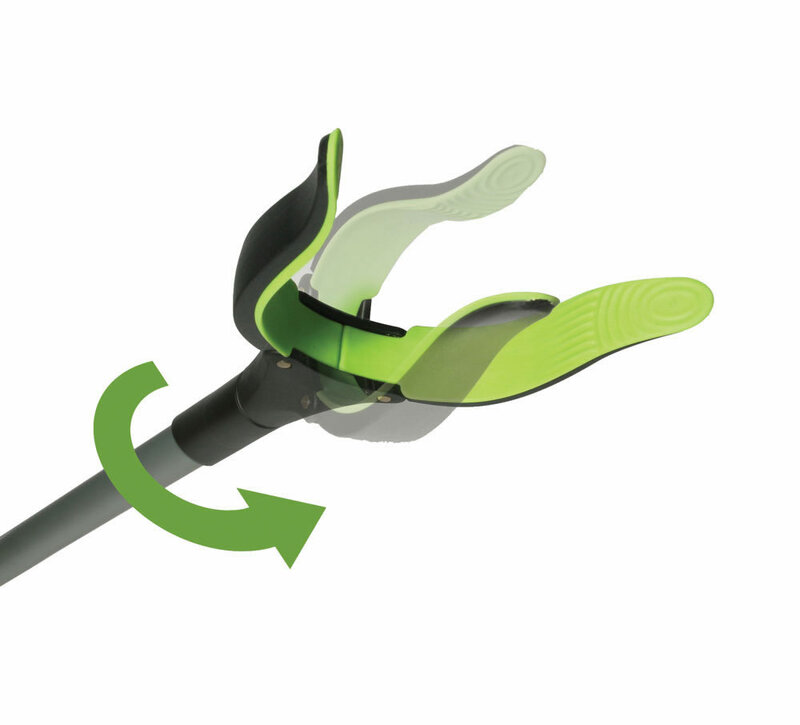 The revolving jaw head allows objects to be picked up from a variety of angles. It can be locked in position at 30 degree angles for increased flexibility. 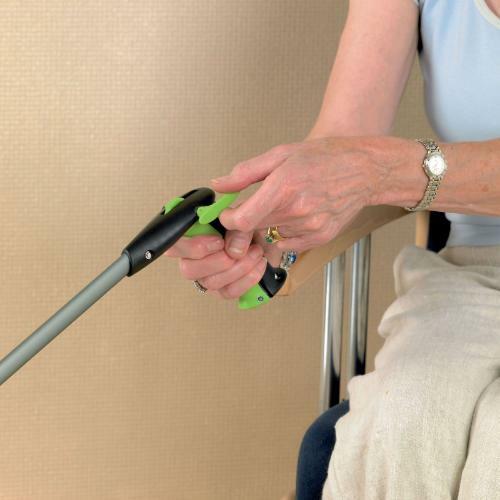 The correct balance of a reaching aid can be a significant factor when it comes to providing optimum control and a secure grip. 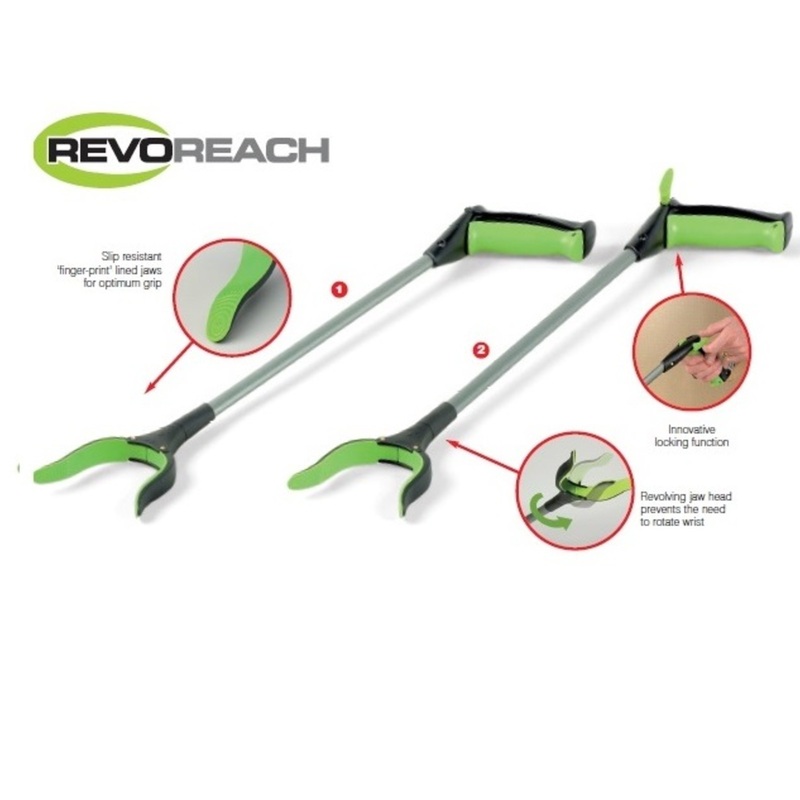 For this reason the weight is distributed towards the handle making the reacher easier to control. Ergonomic handle design reduces finger and wrist strain. 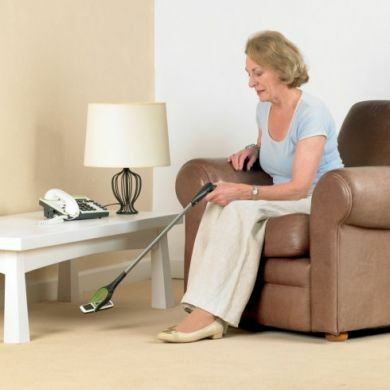 Attractive slip-resistant handle provides a more secure grip. Robust construction for security and durability. Slip resistant ridged jaws provide additional grip when picking up objects. Adjustable rotating jaw head operated by a pull and twist action offers flexibility - Adjustable in 30 degree increments. Two models available to suit user requirements.